Let's talk about extensions, shall we? 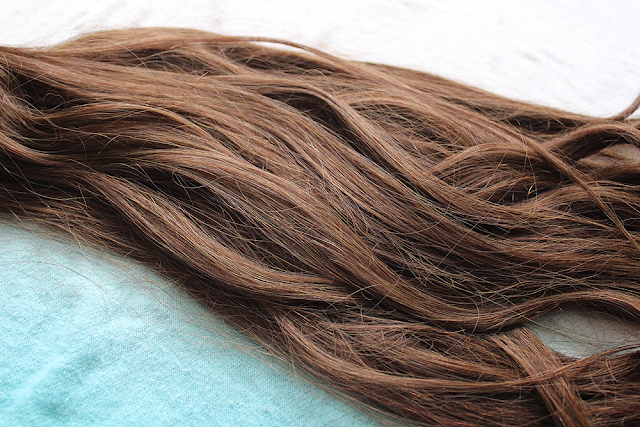 The amazing people over at Irresistible Me Hair Extensions were amazing enough to contact me and let me try out their gorgeous Silky Touch 100% Remy Hair Extensions recently and I couldn't wait to share with you guys my thoughts. 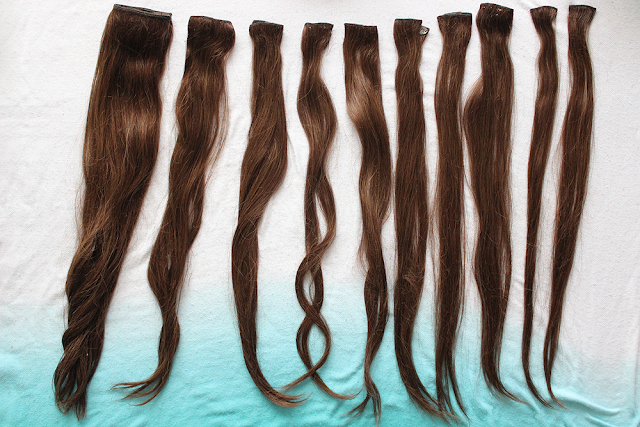 Silky Touch - Made with 100% Remy Hair. These extensions are a little more price and user-friendly. These are perfect for those that are just starting out with clip-ins. The hair is easy to style, cut, color and use with heat. The thickness of the hair decreases slightly towards the end for a more realistic look. Royal Remy - Made with 100& Remy Hair. These extensions are more luxe and are their premium clip-ins. These are silkier, softer and will ultimately last longer than the Silky Touch extensions. 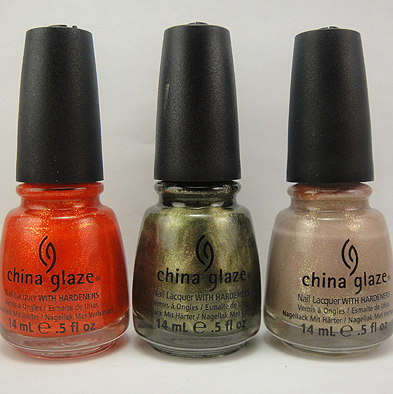 These are also easier to blend, cut, color and style. 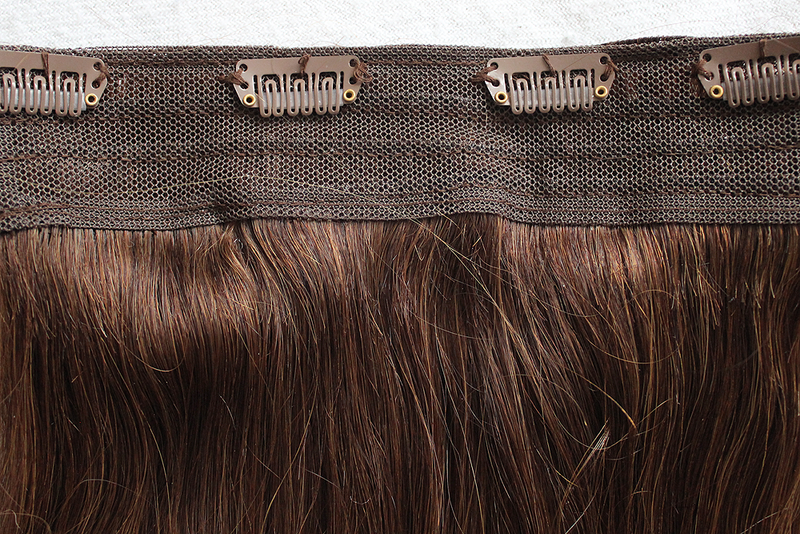 1 four-clip extension (7.5" width) - This is perfect for adding length and volume to the back. I apply this "middle ear height" in the back (does that make sense?). 2 three-clip extensions (6") - I overlap these in the back "above my ear height" so they're right above the four-clip extension. 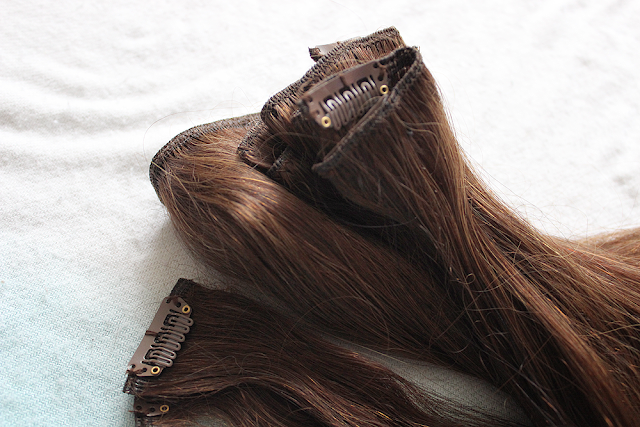 5 two-clip extensions (4") - I lift my hair and apply one of these on each side of my head at temple height. The rest I use wherever I think there needs to be more volume. 2 one-clip extensions (1.2") - I have yet to use these but I can imagine they'd be used to add more volume on the sides. Confession time: These are my first go with clip-ins and I have to honestly say that they were SO easy to use. Since I haven't used clip-ins before I don't have much to compare to but have to admit that these were incredibly lightweight. I forgot I had them in a few times. I do recommend that if you have short hair like me, you might have a better time blending these with your hair if you cut some layers into them. That being said, as you can see below, they still look great even if you don't. I also got a chance to curl them and loved the outcome! They held the curls so, so well. Can I also just add how much easier and better looking my braids and messy buns look with extensions? It just adds so much more oomph into them and makes them look WAY better than without. Maybe it's because I have thin hair without them but it's a huge difference with and without. 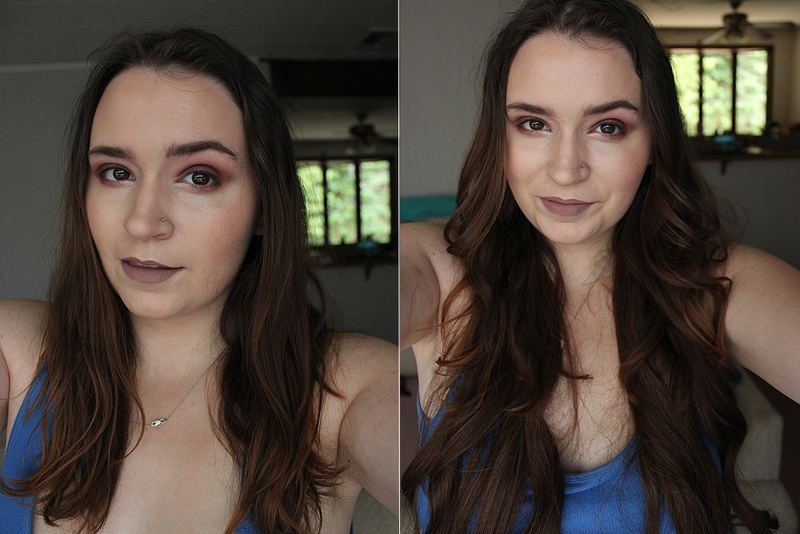 Overall: I think I've found my holy grail hair extensions. Clipping them in is SO easy (even with thin hair) and never pulls on my hair while they're in. They're extremely realistic and soft. They're super manageable and easy to style and maintain as well. FYI: If you don't know what color you should get, they have an awesome video that can help you decide. I love how they move the hair in the video (below) so you can really see the color. My shade (medium brown) matches perfectly with my hair! Also, when you receive the hair, it comes in a little bag. There's a separate part of the bag that includes two wefts of hair to test so you can actually see if it matches before you open the other side. If they don't match (just don't open the bigger side of the bag! ), you can send them back, no problem.